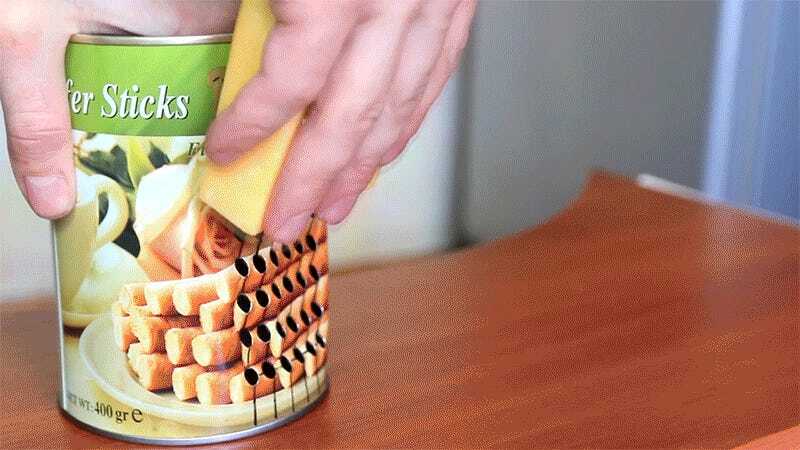 Turning a tin can into a grater might be a tedious process, but it offers the advantage of getting all those little food strips inside a vessel you can easily dump onto whatever you’re making. With a little plastic wrap it could even be used to store your pre-grated ingredients for later—and it comes at the low price of basically free. Of course, you could also just buy this handy gadget from IKEA for all of $5. And doesn’t take hours of your life to make. Or put you at risk of eating flecks of aluminum. But hey, you’re an adult, make your own decisions.